With the latest wireless 802.11n technology built into it, EW-7711USn can increase the coverage 3 times more and reduce "dead spots" within the wireless range. The transmission data rate when connected to wireless 802.11n devices can reach up to 150Mbps, making signal travel farther and guarantee wireless connections compared to a standard wireless 802.11b/g network. The included 16 languages EZmax setup wizard and friendly UI will walk you through configuring EW-7711USn to your wireless network. The detachable antenna with extended USB cable let you relocate the antenna to receive the best signals. Also, you can change to any high gain aerial with RP-SMA interface. 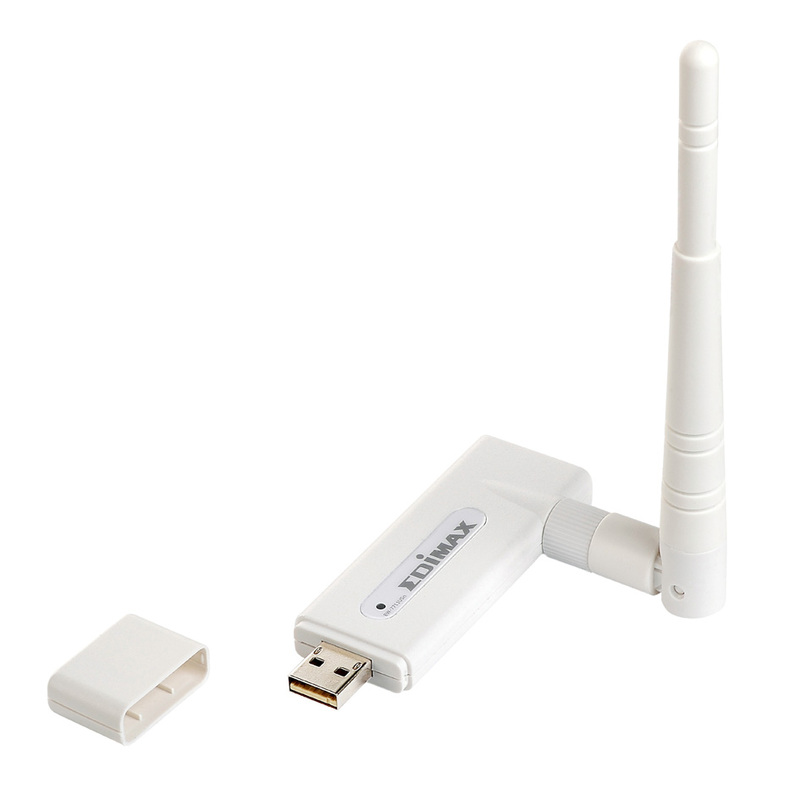 Its rotatable and detachable 3dBi high gain antenna makes the wireless transmission more stable and reach farther. EW-7711USn is your choice for wireless connection! EW-7711USn supports 64/128-bit WEP data encryption that protects your wireless network from eavesdropping. It also supports WPA (Wi-Fi Protected Access) feature that combines IEEE 802.1x and TKIP (Temporal Key Integrity Protocol) technologies. Furthermore, this adaptor supports WPA2 and WPS functions, WPA2 provides a stronger encryption mechanism through AES (Advanced Encryption Standard), which is a requirement for some corporate and government users. Wi-Fi Protected Setup (WPS) is a standard for easy and secure establishment of a wireless network. EW-7711USn supports software WPS-compatible configuration. When both ends of the wireless connection use wireless solution with WPS, it will automatically configure the wireless network with robust WPA data encryption and authentication. * The EZMax Setup CD Wizard only supports Edimax wireless Series. • Includes multi-language EZmax setup wizard. • Supports 64/128-bit WEP, WPA , WPA2 encryption and WPS-compatible.